Heat and cold therapy are non-surgical procedures. These therapies use temperature in order to help alleviate pain. This can help promote a cure to many common aches and pains. Cold and Heat therapy are used in combination with chiropractic treatment. Working together this enhances and accelerates healing and recovery time. Your chiropractor may use cold therapy in conjunction with other treatments. Heat therapy, ultrasound, and exercise therapy are often used with cold therapy. Cold therapy causes the blood vessels in the affected area to constrict. As a result, blood flow to the affected area is reduced. This can produce a numbing effect to relieve pain. The slowed circulation can also help to reduce swelling and inflammation. After applying the cold pack, the increase in blood flow aids in the healing process. Your chiropractor can provide cold therapeutic treatments. These treatments can happen at the chiropractic office and also can be used at home. Cold therapy should only be applied for 15 minutes or less. The cold packs should never come in direct contact with your skin so always use a towel as an insulating layer between the cold pack and your skin. You may repeat cold applications as instructed by your doctor. Utilizing manipulations, or chiropractic adjustments, in conjunction with cold therapy, our goal is to remove structural or nervous system irritation that may be a contributing factor in your discomfort. Cold therapy is just one of many techniques we use to alleviate pain. 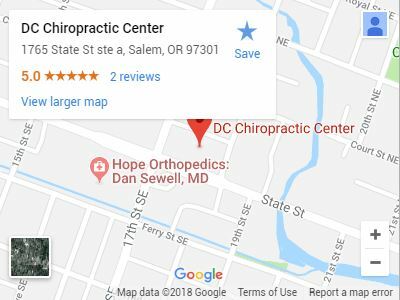 Call Dr. Daniel O. Cook’s office today to set up an appointment to discuss your specific ailments and how cold therapy may help you in your road back to health.